These little beauties were another purchase from the Professional Beauty Exhibition. I am really into my nail art and like to try out new designs on my nails all the time. I had seen these at the show last year and regretted not buying them then, so as soon as I saw the brand exhibiting this year I thought I better grab a set - better to have no regrets I think! There are a lot of different looks you can create with nail art pens like these. You can pull the lid off for a pen style applicator or unscrew the top for a brush. My main fear when purchasing something like this is that after the first use the pen will get clogged and I can't reuse it. However, I have tried some of these more than once now and they've been fine. Sometimes they need a good shake or to be tested out on some paper or something before trying it on your nail. Although, I found in the leaflet that comes inside a little pin that you can use to poke through the pen tips in order to unclog them - great idea! I used OPI's 'Moon Over Mumbai' as a base (I applied 2 coats) and then dotted on some of the nail art colours (using the brush applicators). 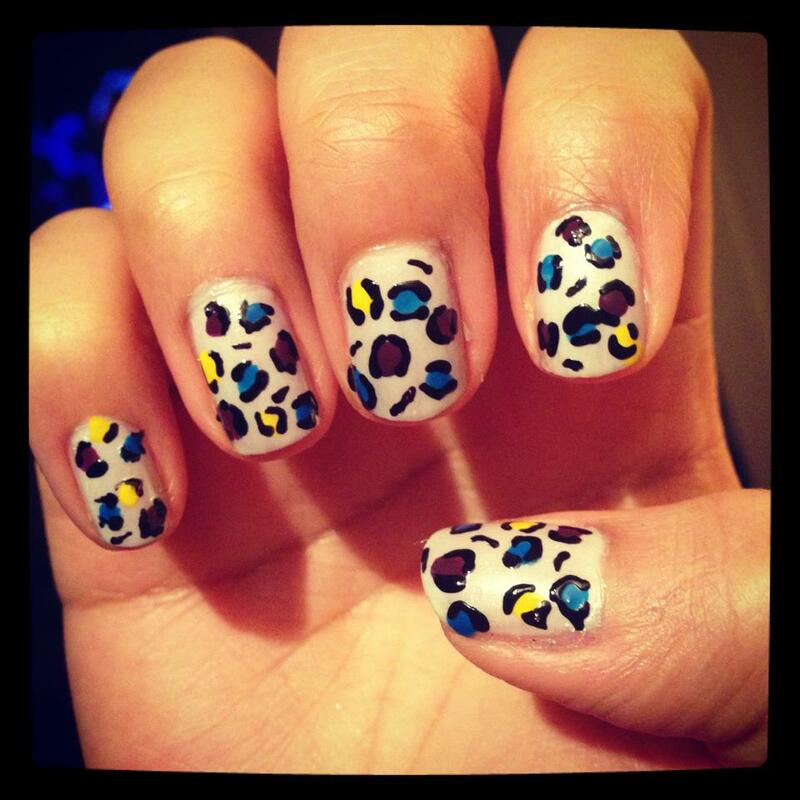 Waited a couple of minutes and then use the black nail art pen to create the leopard print design. It is honestly so much easier than it looks. 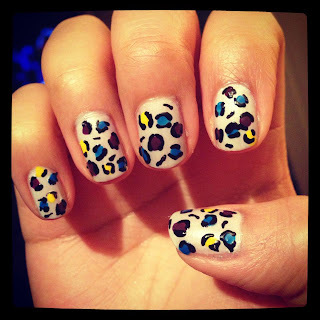 I love doing a leopard print nail art design, they are so eye catching and compared to other designs, it really doesn't show when you make a little mistake - leopard actually looks better when it isn't completely perfect. Thats amazing! I love nail art but can only ever do it on one hand lol!